White Rock, British Columbia (BC) --- Boat House Restaurant; Tsawwassen Ferry Terminal --- Tsawwassen Quay Market; Salt Spring Island --- Stonehouse B&B, Salt Spring Adventure Co., Infinity Studios, Sean Goddard Insects Studio, Salt Spring Cheese Co, Garry Oaks Estate Winery, Hastings House Restaurant, Tufted Puffin Gallery, Treehouse Cafe. It has become a yearly tradition for Tim and I to take a "Hunny Escape" while Bella has summer fun at the YMCA Camp Orkila sleep-away camp. We’ve wanted to visit Tofino (that article will be posted soon), Vancouver Island for nearly 20 years and decided to finally make the trek this year. Because it can take a bit of time to travel to the West Coast of Vancouver Island we decided to divide our week of adventure between Salt Spring Island and Tofino. It turned out to be a great decision! 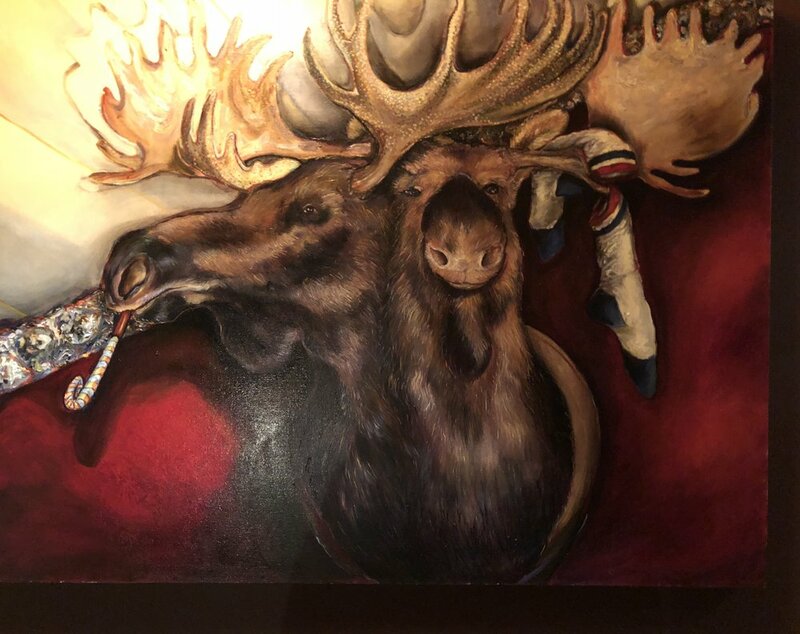 This trip confirmed our fondness for the engaging, welcoming spirit of Canadians and the appreciation for BC's ability to showcase its accessible, refined culture amidst unbelievable natural beauty. This sentiment is summed up by a quote mused by Tim during our ferry trip back to the mainland at the end of our adventure, "I'm sick of beautiful views. They make me too relaxed. I need to get back to the city so I can feel productive." So, if you want to feel relaxed, head to the BC’s version of the San Juans: the Gulf Islands. Couples, groups of friends and families searching for a restorative adventure where beautiful scenery, delicious food and friendly locals take center stage. It didn't take long for us to pinpoint the source of Salt Spring Island's magical energy: the people. Every single person we interacted with during our stay was absolutely welcoming and engaging; more than any other destination we've ever visited. We wondered if the perceived friendliness and happiness is because Salt Spring Islanders are people who have probably chosen to live more simple, collaborative lives there. The locals seem happy, relaxed and interested in getting to know and welcome you. Coming from a growing big city, where life moves in an overdrive pace and people appear to be preoccupied with personal agendas, Tim and I appreciated the community-centric, relaxed Island. While visiting Salt Spring Island we stayed at the lovely Stonehouse Bed and Breakfast, which was like heaven on earth. It's a romantic, quiet place and recommended for adults only. We don't typically stay at B & B's because we don't like feeling as though we are staying in close quarters with a bunch of people we don't know at a stranger's house. But Stonehouse is not that. It is so well designed that there is a sprawling amount of space for guests to spread out and find privacy. In fact, we often felt like we had the whole place to ourselves and primarily saw the other 8 guests during breakfasts. The breakfast conversations turned out to be a highlight of our visit. 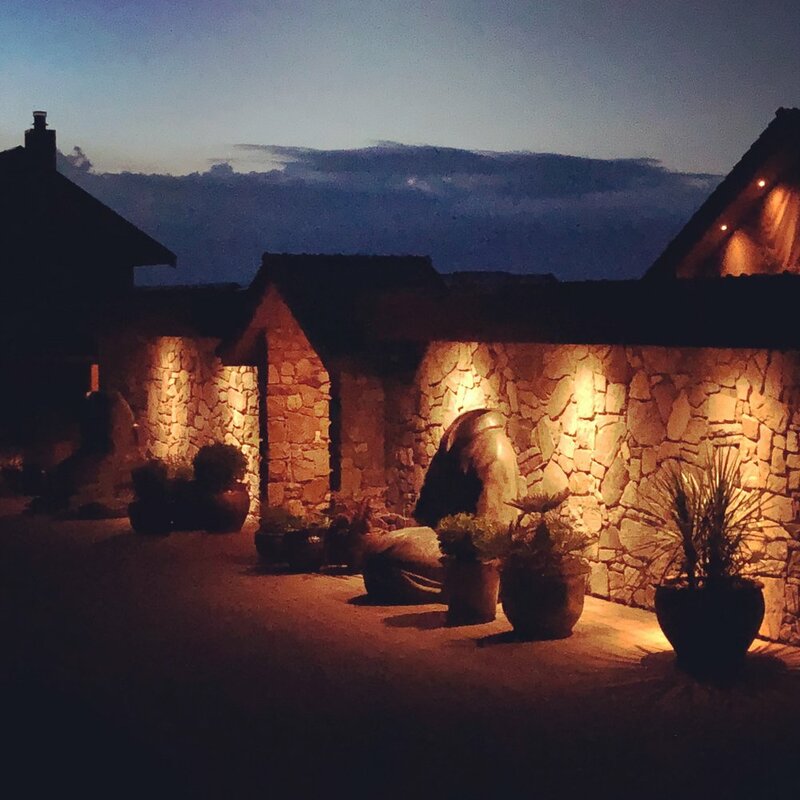 Aside from the beautifully appointed property filled with the owner's personal art collection, geothermal hot tub overlooking the harbor, dry sauna, and the mini-Stonehenge replica, the real gems of Stonehouse are the staff and the exquisite breakfasts that should not be missed. Each morning, starting at 8:30 a.m. espresso and fresh-baked goods are offered in the main house kitchen. Once all of the guests arrive, breakfast is served at a communal table in the dining room. Two local-centric menu options are offered and artfully prepared by Millie and Terry. Sitting in the middle of the small Stonehenge replica sculpture garden, while sipping local rose wine and watching the landscape change with the setting evening sun was a favorite activity at Stonehouse. We loved it so much, that we plan to return regularly. Truly a Northwest gem. 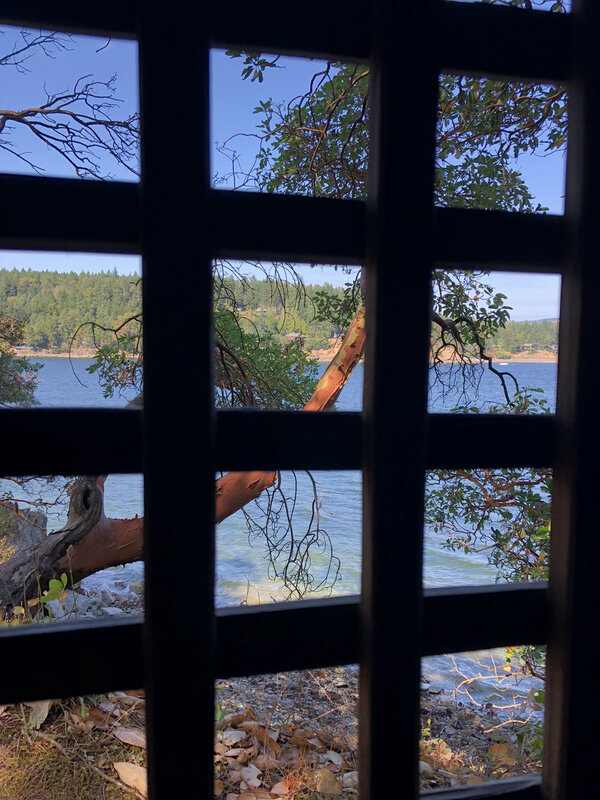 We wanted to be outside as much as we could on this Island respite, so we booked two experiences with the Salt Spring Adventure Co. On our first full day we rented hybrid electric bikes to tour around and visit artists' studios, estate vineyards and farms. Salt Spring Island is very hilly and the electric-assist made it possible to glide uphill and cover much more territory than if we had been riding "analog" bikes. We were able to get exercise by peddling on the flat roads, which was nice. Touring by bike was so much better than driving around in our car because we were able to really take in the sights, sounds and aromas of the island so much more. One favorite moment on our self-led bike tour was when we were cruising downhill in a lush, green corridor and turned a corner towards the harbor and were faced with the salty scent of the sea and blustery wind. So fun! The folks at Salt Spring Adventure were helpful and suggested a low-traffic route for the places we were hoping to visit. Salt Spring Island Cheese Co. Originally we planned on picking up picnic items from several local spots on our bike tour, but felt compelled to have flatbread pizzas in the garden at the Salt Spring Cheese Co. instead (a goat cheese farm and production facility) because the grounds were so pretty. After a 5-minute winding hillside climb on our e-bikes, we came to clearing featuring Salt Spring Cheese Co.’s small cheese production facility, a small goat barn, goat cheese tasting room and store featuring Island creations. We took a self-guided walk around the cheese-making facility and watched the impressive hand-made goat cheese production process. You won’t believe how artfully and beautifully each block of goat cheese is decorated with fresh flowers and roasted ingredients until you see it in person. There was also a small cafe with wood-fired pizzas and salads and two sitting areas in the garden. It was warm that afternoon, so Tim and I found shade under an olive tree to eat our lunch as we watched goats in the field. The food was fresh and delicious. Salt Spring Island is a creative place and its artists welcome visitors into their studios, which are listed on an Island map that shows the locations and hours of operation for each spot. This was perhaps our favorite past time. Wandering into the creative lives of artists and admiring their craftsmanship is a great way to really experience the pulse of a place. I was surprised by how available each artist was as we cruised by on our e-bikes and rang their doorbells. 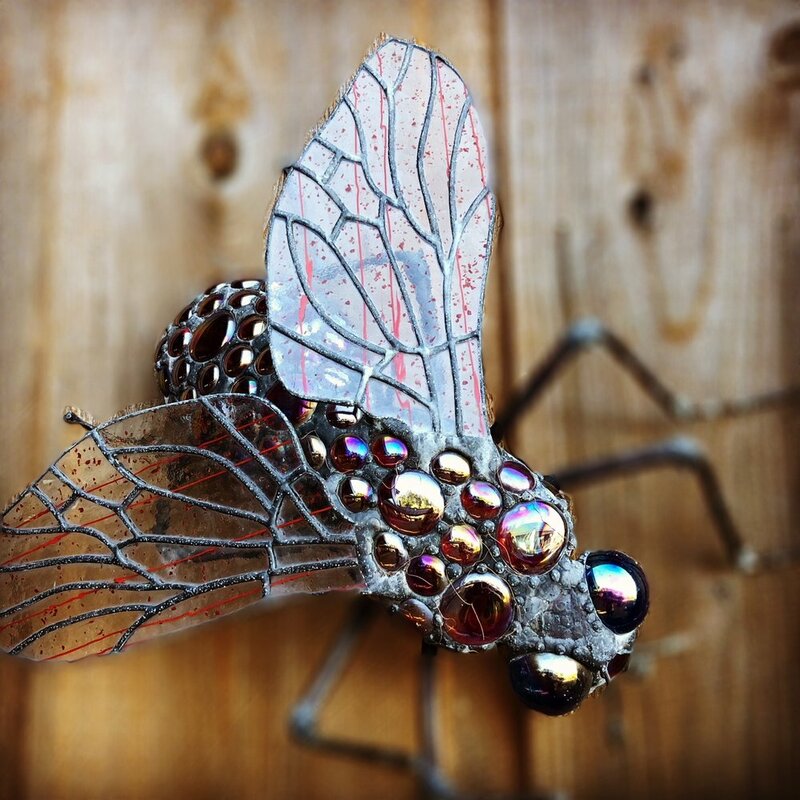 Being a vegetable gardener, I hold a special place in my heart for insects and so I was compelled to visit Sean Goddard's insect sculpture studio. We cruised there on our e-bikes and fell in love with his whimsical, artful pieces. You really have to see the pieces in person to appreciate the intricate metal and glass work. Tim and I enjoyed talking with the artist Sean. Ironically, he typically shows his work at the Bellevue Festival of the Arts each summer, outside Seattle and I intend to find his booth next year. While cruising on our e-bikes, we also visited Infinity Studios where we met Malas and Yoga Jewelry artist Jacqueline Medalye. She is a yoga instructor and specialist in South Asian studies, which lead to her creation of energetically enlightened jewelry. I purchased several of her mala beads and rings for gifts and she took time to help me select the right pieces and wrote out the healing properties of each piece. Jacqueline is so lovely and I am certain that if I lived on Salt Spring Island that I would practice yoga under her instruction. Her Husband Jerry Witmer is an oil painter and his lovely pieces are displayed in the small studio. 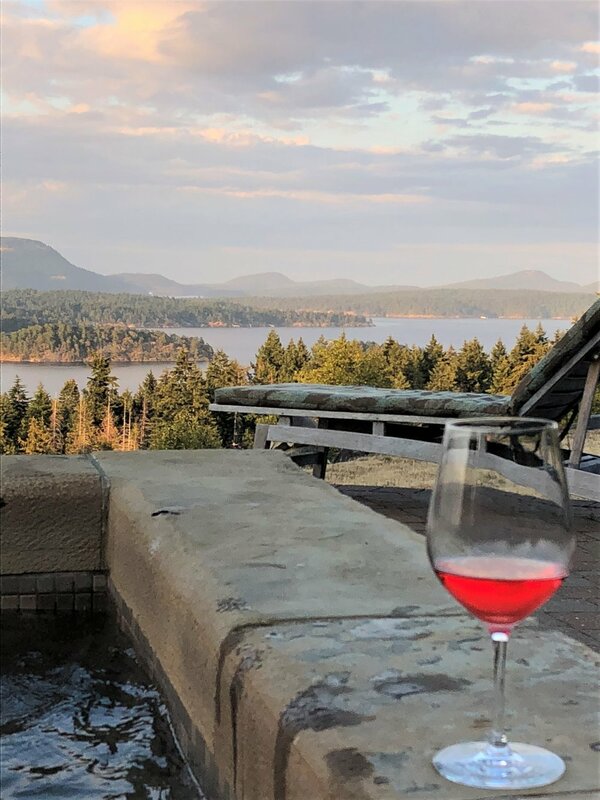 There are two estate vineyards with tasting rooms on Salt Spring Island, which produce lovely, light-bodied red wines. Salt Spring Vineyards and Garry Oaks (a type of oak tree). We tasted several wines at Garry Oaks and were immediately drawn to their unusual varietal Zweigelt. The estate vineyard is beautiful and features several sitting areas with adirondack chairs and a labyrinth in the back garden. We only had time to visit Garry Oaks tasting room on this much too brief visit, and will visit the other, as well as, Salt Spring Island Ales next time. We love experiencing a place from the water. It offers a different perspective and relaxation. In the BC Islands, kayaking is taken seriously. If you want to rent kayaks for a self-led tour you must pass a safety test to show that you know how to manage changing sea conditions. Although Tim and I kayak regularly, we opted for the guided tour with Salt Spring Adventure Co. , thinking that there was good reason for caution. Sure enough, our knowledgeable and friendly kayak guide James knew when to call our tour short because the winds moved into the harbor, causing very choppy water. The harbor tour is good for seeing the town from land and taking a leisurely paddle (although you can go at your own pace, so if you want more exercise the guides will certainly keep up). The harbor tour was not great for viewing sealife, but the scenery was stunning and we paddled to a beautiful little island, featuring "Chocolate Beach" and perhaps the most beautifully sited outhouse in the world---with a view to match! The chocolate reference is from chocolate lilies that used to grow on the beach. James brought coco, tea and cookies for us to snack on and gave us as much time as we wanted to hike to the top of the island for photo ops. It was a lovely way to spend an afternoon. After our kayak tour, we walked into town for dinner and decided to try the highly praised Tree House Cafe. It was packed and we didn’t have reservations, besides wondering if it was worth the wait. I thought the draw was mostly because of the live music, but once we sat down I realized we were wrong. The service was so friendly and welcoming and the food and drinks were fresh and unexpectedly delicious. 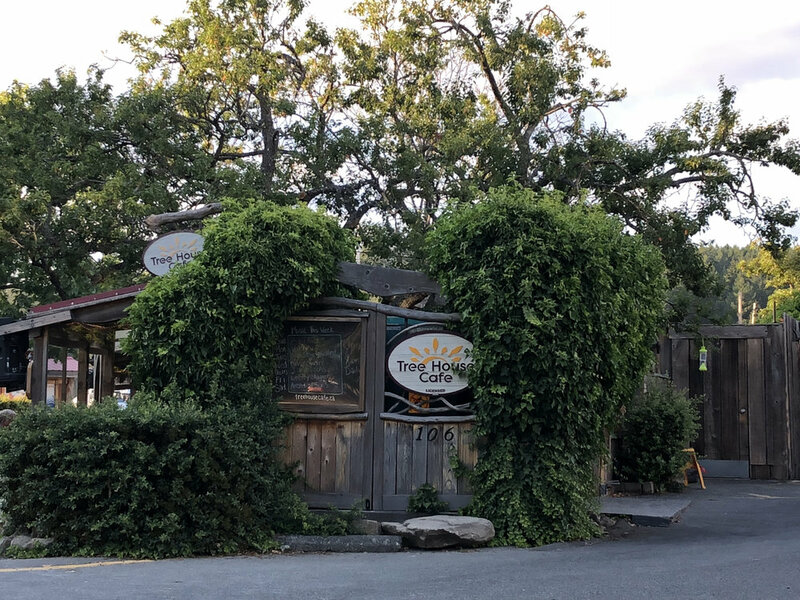 Spending our evening at the Tree House was a quintessential Salt Spring Island way to end an already lovely day in paradise! If you are a lover of all things food and visit Salt Spring Island, you must make reservations and have an exquisitely prepared meal in Hastings House Manor Dining Room. Much of the fresh ingredients are harvested from their onsite garden and their specialty is lamb. Tim (and several Stonehouse guests) said it was the most amazing lamb he’s ever eaten. For those who love to visit Relais & Château properties, this restaurant should not be missed. Be sure to ask about the Manor House architecture and WWII paintings that don the walls. There literally is a tree in the middle! Salt Spring Island has its own “Fairy Door Man, His name is Roger Brunt, and he has carved and installed 13 different fairy doors around the island. When you open one of the fairy doors and look inside, you see a letter box and note, which reads that if a letter is left for the fairies, they will write back as long as a mailing address is also included. Roger has even written a children's book about his journey into this magical world. 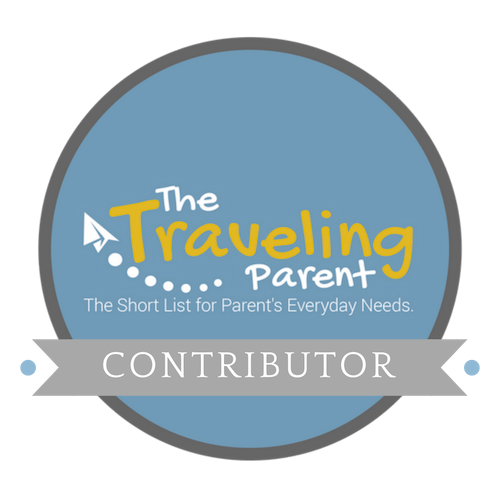 I think that touring the island in search of all 13 doors would be a fabulous adventure for anyone who is young at heart (I plan to do it on my next visit)! What you find inside the door! ABILITY TO UNPLUG RATING: High. International rates apply and are very expensive, which leads you with opportunity to unplug and enjoy the company of your travel companion(s). If you cross the US/Canada border and the traffic is heavy, consider taking a 10-minute detour to the quaint, Southern California Coast-like town of White Rock and find Marine Avenue. There about a mile's worth of restaurants, bars and shops directly across from a beautiful beach. We like the Boathouse Restaurant's rooftop deck. Shout out to our friend, Nate Y., who shared this tip with us. If travelling from the South or East, make advance ferry reservations for the Tsawwassen Ferry Terminal, which takes you to the Gulf Islands. If you are in need of a bite to eat or leg stretch before your ferry ride to Salt Spring Island, check out the Tsawwassen Quay Market at the terminal. It has a very impressive collection of fresh food and sundry vendors (including one that sells high-quality jackets for those who forgot to pack for Coastal weather). If Stonehouse is booked, consider checking Mariner's Loft Suites or the Salt Spring Inn.